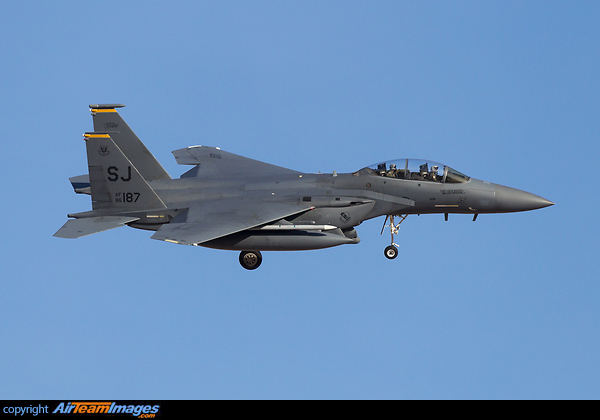 The McDonnell Douglas F-15 Eagle developed for the United States Air is an all-weather, extremely maneuverable, tactical fighter designed to permit the Air Force to gain and maintain air supremacy over the battlefield. The F-15E Strike Eagle variant is an all-weather strike fighter, designed for long-range interdiction of enemy ground targets deep behind enemy lines. 2 x Pratt & Whitney F100 (17900 - 29100 lbf) turbofan engines.